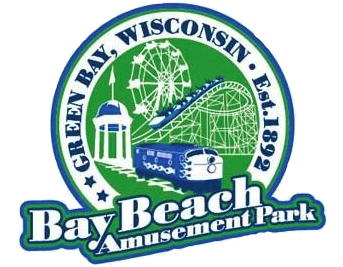 Welcome to Bay Beach Amusement Park. Let's go check out the park. This is the Bumper Cars Building. They are pretty good ones too. Here's the train. It has a long course. Heading up the lift hill. It also goes inside the structure. Had a great time at Bay Beach. Zippin Pippin is worth the drive to Green Bay.